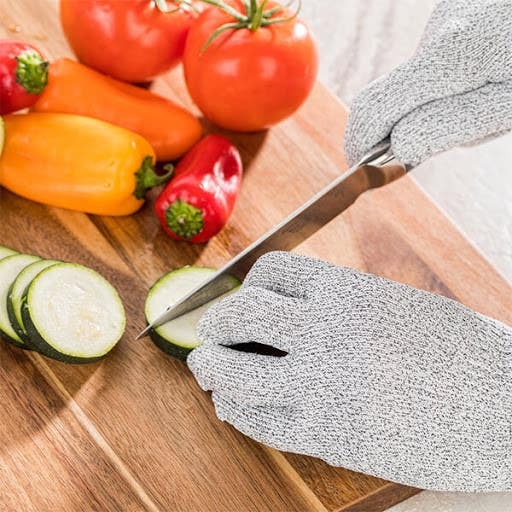 Keep your hands covered while prepping meals with our collection of premium gloves. 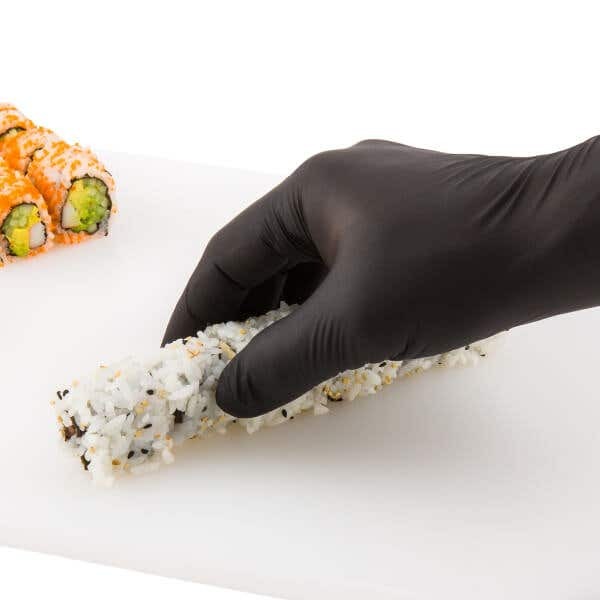 Whether you’re wrapping sushi rolls or chopping up vegetables, Restaurantware’s line of durable kitchen gloves is specially designed to protect your hands while preparing all type of dishes. We offer an assortment of disposable nitrile gloves and cut-resistant gloves available in a variety of sizes from small to extra large. Constructed from high-quality nitrile, our flexible plastic gloves feature a latex-free, powder-free, and puncture-resistant design to ensure superior protection. These disposable gloves promote a sanitary and food-safe kitchen by preventing cross-contamination when handling meats or allergens. Our cut-resistant gloves provide level 5 protection to avoid accidental cuts, abrasions, and injuries in your busy kitchen. These long-lasting cut-proof gloves effectively protect your hands while handling professional knives and other sharp kitchen tools. Make safety your main priority in the kitchen with our protective gloves. Restaurantware’s collection of premium kitchen gloves are great for maintaining a sanitary and safe kitchen at your restaurant, food truck, catering event, or other foodservice establishment.